This week on WoW is One Dark Throne by Kendare Blake. I read Three Dark Crowns at the beginning of this year and I enjoyed it a lot -which was not surprising since I love Kendare Blake. I'm dying to know who will take the throne (I got the feeling this will not the last book in the series, thus the wait will be long). Anyway, who is your favourite queen and why? Mine is Mirabella because of the love she has for the sisters that want her dead. The book will be released on September 19th. "The battle for the Crown has begun, but which of the three sisters will prevail? 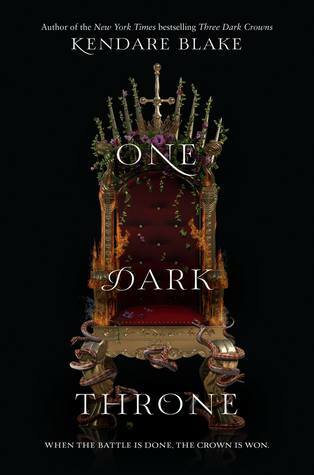 In this enthralling sequel to Kendare Blake’s New York Times bestselling Three Dark Crowns, Fennbirn’s deadliest queens must face the one thing standing in their way of the crown: each other."